BELTON, Texas — The University of Mary Hardin-Baylor won two American Southwest Conference Distinguished Scholar-Athlete awards and placed a total of six student-athletes on the ASC Fall Distinguished Scholar-Athlete Teams released today. The Fall Distinguished Scholar-Athlete teams recognize student-athletes in the following sports: football, volleyball, men’s soccer, women’s soccer, men’s cross-country and women’s cross-country. Steven Sellers (So., Murphy) was voted ASC Co-Football Distinguished Scholar-Athlete of the Year. Sellers was an Academic All-American and First Team Academic All-District as a management major. He was voted First Team All-Conference after starting all 15 games at center for the Cru’s National Championship team. Sellers helped clear the way for an offense that led the country in scoring and averaged 443.9 yards of total offense per game. He is also an ASC Academic All-Conference selection. 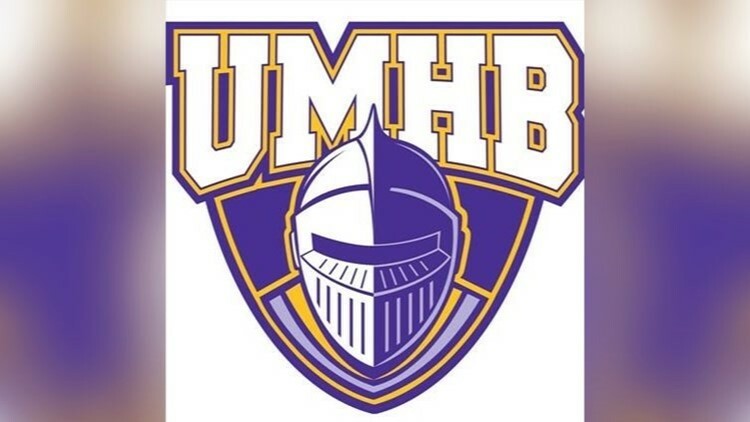 UMHB finished the year 15-0 and won the ASC title with a 9-0 league record. Sarah Paolini (Jr., Kalispell, Montana) took ASC Volleyball Distinguished Scholar-Athlete of the Year honors for the second consecutive year. Paolini was an Academic All-American and First Team ASC All-Conference selection this year. She hit .355 with 289 kills and added 136 total blocks. Paolini was also named ASC Academic All-Conference as she helped lead UMHB to the ASC title, a 28-5 overall record and the Regional Finals of the NCAA Division III National Championships. Paolini is a nursing major. Tyler Childs (So., Boerne) is UMHB’s representative on the men’s soccer Distinguished Scholar-Athlete team. Childs was a Second Team All-Conference selection and earned a spot on the ASC All-Tournament Team after scoring three goals and finishing with seven points on the year. He also claimed ASC Academic All-Conference honors after helping lead the Cru to the ASC championship, a 16-4-1 overall record and the Second Round of the NCAA Division III National Championships. Childs is majoring in biology. Elissa Freberg (Sr., Friendswood) is UMHB’s representative on the women’s soccer Distinguished Scholar-Athlete team. Freberg was Academic All-District VIII and earned Second Team ASC All-Conference honors this season. She started 18 matches and had two goals and an assist as one of the Cru’s top defenders. Freberg is majoring in biology. The Cru women finished with a 12-5-2 overall record and advanced to the ASC Championship match. Sean Reid (So., Killeen) is UMHB’s representative on the men’s cross country Distinguished Scholar-Athlete team. Reid is a management major and competed in five meets for the Cru this season. Caroline Vining (Jr., Killeen) is UMHB’s representative on the women’s cross country Distinguished Scholar-Athlete team. Vining was ASC Newcomer of the Year and First Team ASC All-Conference after the nursing major finished second individually at the ASC Championship meet. Vining advanced to the NCAA Regional Meet and was also an ASC Academic All-Conference selection. Overall, 70 student-athletes were named to the American Southwest Conference 2018 Fall Distinguished Scholar-Athlete Teams. Paolini is the only UMHB student-athlete making a second appearance on the ASC Distinguished Scholar-Athlete Teams. The Distinguished Scholar-Athlete Teams recognizes student-athletes who achieve a high level of academic achievement (a 3.20 grade-point average or better) while competing as a starter or important reserve on their team. From that list – limited to one nominee per school in each ASC championship sport – the sports information directors from the 13 ASC member institutions select a Distinguished Scholar-Athlete in each sport.